In 2007 she published her first book Urban Ecology, a compilation of short stories on New York life seen through the her eyes . The book introduces 30 short stories featuring 30 exclusive pictures from the lifestyle TV show “our planet”. The book has an interactive part where the reader creates their personal ecology through original assignments. Urban Ecology informs and entertains an audience about Manhattan lifestyles throughout the four seasons of the year. It is an inspiration to celebrate life, every single moment. Creator of the Eco Hero projects for kids as to make environmental education fun and accessible, she gives lectures at schools for assemblies as large as 800 children at a time. Pamela Peeters grew up in the country side of Belgium. She launched her first environmental magazine – grab the green - at the age of 12. Pamela obtained a first Master degree in Economics in 1995 and researched through her thesis on how we can change consumption and production patterns towards sustainable levels. She obtained a second Master in Environmental Management in 1997 and wrote a second thesis on the creation of indicators that could be used by urban policy makers in their development plans towards sustainable city transitions. 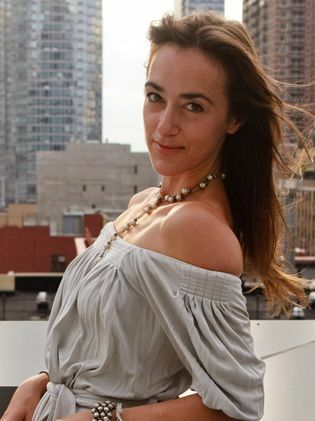 Pamela Peeters, Environmental Economist, Sustainability Strategist, Developer and Producer of Conscious Media and Educational Programs launched the “Our Planet” lifestyle tv series in 2000. She created “Styling the New World” TV show in 2003 and launched the Sustainable Styles Magazine. In 2005, joining the marketing team of the US partnerships for the UNESCO decade for Sustainable Education she launched the “Sustainable Planet” film festival.